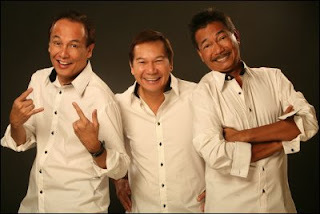 Home » Boboy Garovillo » Danny Javier » Jim Paredes » Music » Whos group song Bawat Bata? » What group song Bawat Bata? What group song Bawat Bata? A Filipino musical group. The group had its fledgling beginnings in 1969 at the Ateneo de Manila high school, with 15 members: John Paul Micayabas, Lito de Joya, Sonny Santiago, Gus Cosio, Renato Garcia, Chito Kintanar, Kenny Barton, Bruce Brown, Butch Dans, Kinjo Sawada, Ric Segreto, Goff Macaraeg, Doden Besa, Jim Paredes, and Boboy Garovillo. The group's name was created from the acronym AMHS representing their school with a witty twist having an irreverent reference to the paralyzed Philippine revolutionary intellectual and hero, Apolinario Mabini, and later shortened to "Apo", an Ilocano term for a wise man or a Tagalog term of grandchildren, and later re-branded to "APO" (all caps). Contrary to popular belief, the "Apo" name was not a reference to the Philippines's highest peak, the potentially-active stratovolcano Mount Apo. As the students advanced into college, Danny Javier joined the group. After graduation, the majority of its members left to pursue individual careers, with only three members remaining,made up of Jim Paredes, Boboy Garovillo and Danny Javier.